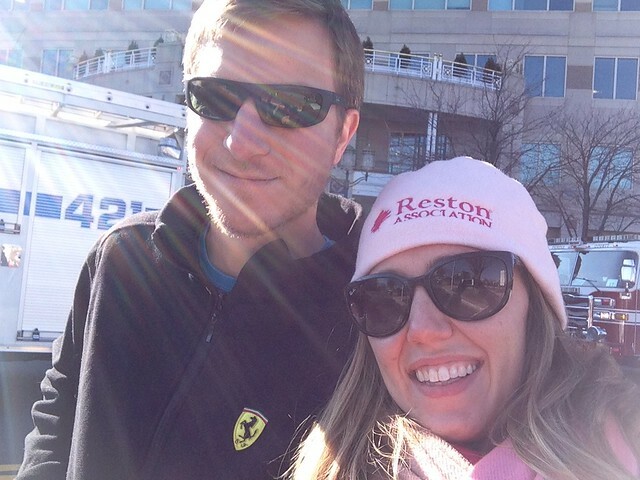 Reston Style: metro to the holiday parade! 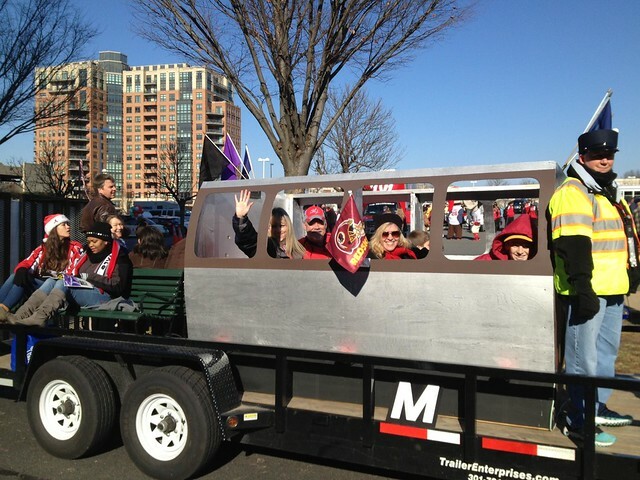 metro to the holiday parade! 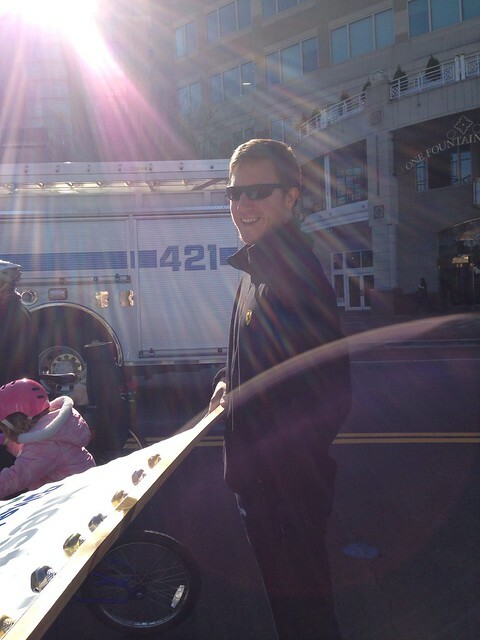 On Black Friday I forced Reid to Reid and I walked in the Reston Town Center's annual holiday parade with my company. It was actually really fun to be involved not just with the parade, but also with the setting up/building (though the construction guys did the actual building) of the float! I think our little metro car came out really well!! 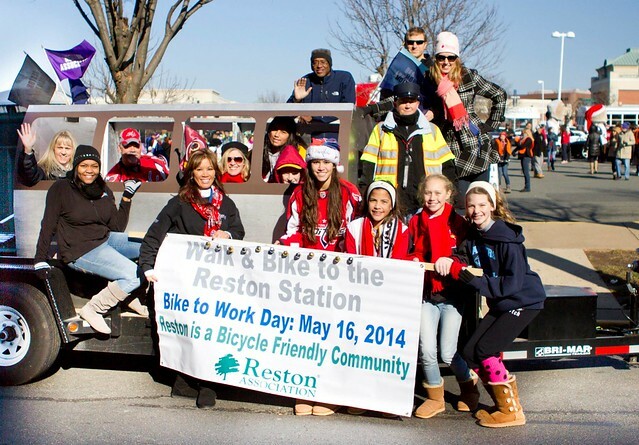 The theme for the whole parade was transportation to metro, seeing that Reston will welcome the silver line metro early next year. 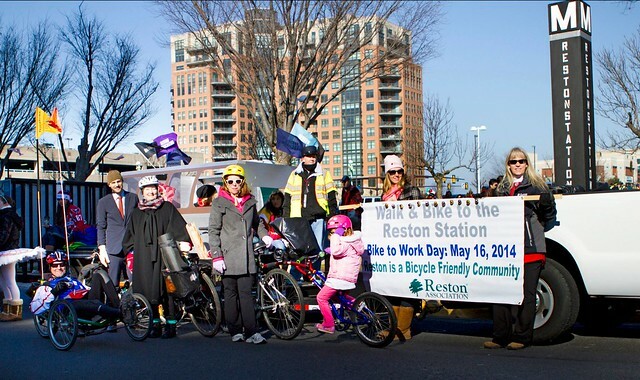 Our float/theme was supposed to support biking to the metro, since Reston was just honored with a League of American Bicyclist's Bicycle Friendly Community designation. 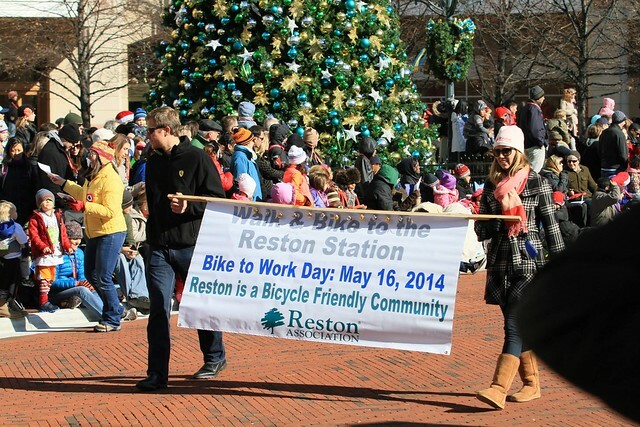 You'll also notice that our banner mentions Bike to Work Day too!